Adapted synopsis from IMDB: Ned and Conor are forced to share a bedroom at their boarding school. The loner and the star athlete at this rugby-mad school form an unlikely friendship until it’s tested by their peers and their own fears. 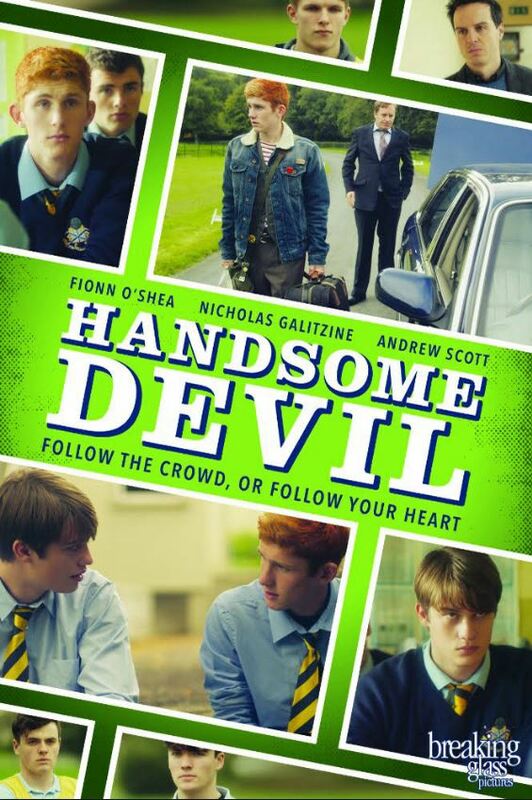 One of the most recent and well-done coming of age films, Handsome Devil is ripe with layers of ideas, metaphor, and lessons to be learned or remembered. It transcends the teenage angst and burdens of “coming out,” and translates the tale into themes of friendship, courage, and being yourself. That theme carries through the film like a bulldozer destroying everyone’s facades. This lesson isn’t just for the students; it seems it’s for everyone. Mr. Sherry shouts, “You spend your whole lives being someone else. Who’s going to be you?” Each character has something they hide whether it’s shame, fear, or prejudice. But the school year teaches them that there is more to what they are doing – more to themselves than what role they play. I really like the development of the friendship between Ned and Conor. It starts out seeming like they couldn’t be more diametrically opposed, and even forming a “Berlin Wall” between the two of them. But like the real one, cracks begin to form, and a friendship soon follows based on their actual knowledge of each other and not just what the school gossip tells them. Andrew Scott said in an interview that “prejudice doesn’t survive proximity,” and I think this film makes that point well.